Semifinal day at the Estoril Open featured two high quality and incredibly tight 3-set matches, with the favorites prevailing in the end end. Nick Kyrgios was on the brink of defeat against Pablo Carreno Busta, with his erratic play getting him a set down and very close to being broken in the second set as well. It was clear all throughout that the match was on Kyrgios’s racket though and that if he stopped making errors he’d have too much game for his Spanish opponent, who was mostly content to just keep the ball in play and wait for the errors from Kyrgios. This point was driven home in the second set tiebreak, where Kyrgios played some big time tennis to tie the match and never looked back, getting two breaks in the decider to book a spot in his first ever ATP final. Asked by me about who he’d prefer to face in the final, the Aussie claimed both opponents were tough, but he did mention that it’d be good to get a shot at ‘revenge’ against Gasquet, who had won the only clay match between the pair before. Nick will get said chance at revenge, as Richard Gasquet booked his spot in a third Estoril Open final – after 2007 and 2012 final losses to Djokovic and Wawrinka – with an incredibly close 3-set win over Guillermo Garcia-Lopez in what was surely the match of this year’s edition of the tournament, featuring ridiculous shotmaking – especially off both players’ one-handed backhands – and several shifts of momentum throughout. The match started tight until Garcia-Lopez ran away with the first set with two breaks in a row to seal it 6-3. In the second set it was Gasquet who dominated the rallies, recording an easy 6-2. He seemed to have picked up from where he had left off in the third set, but he faltered when serving for the match at 5-4, allowing Garcia-Lopez back into the match, especially after the Spaniard came up with some absolutely huge plays to avert that crisis. Garcia-Lopez was two points away from winning the match – 0-30 on Gasquet’s serve at 6-5*, but from then on it was all Gasquet, who dominated the tiebreak with some stunning winners and emerged as the deserved finalist on the balance of play. Garcia-Lopez still had an amazing two weeks and looks well on course for the best year of his career, while Gasquet couldn’t have hoped for a much better return from injury; after claiming he didn’t even think of winning the title year after his first match, he now finds himself the (slight) favorite for the title after downing good claycourt players like Almagro and Garcia-Lopez on his way. In the doubles semifinals, Marc Lopez/Marrero beat Fyrstenberg/Mirnyi 6-4 6-3 and Huey/Lipsky beat Muller/Qureshi 7-6(3) 6-3, thus the top two seeds will battle in the final. The final will therefore be a reedition of that epic Wimbledon 2014 round 3 clash, where the young Aussie saved 9 match points before securing a memorable comeback win from 0-2 behind in sets. On clay, it seems like Gasquet should have the slight edge with his better movement and consistency, but Kyrgios’s serve and power always lethi in with a chance. Kyrgios might not (yet) have the consistency necessary to go into the top 10 right now, but at his best he believes he can beat anyone, anywahre, so he will be fancying his chances of a first career title in Portugal. The pressure will be all on Gasquet, who has been playing well all week and is expected to put away his young foe at the third time of asking in a Estoril Open final. 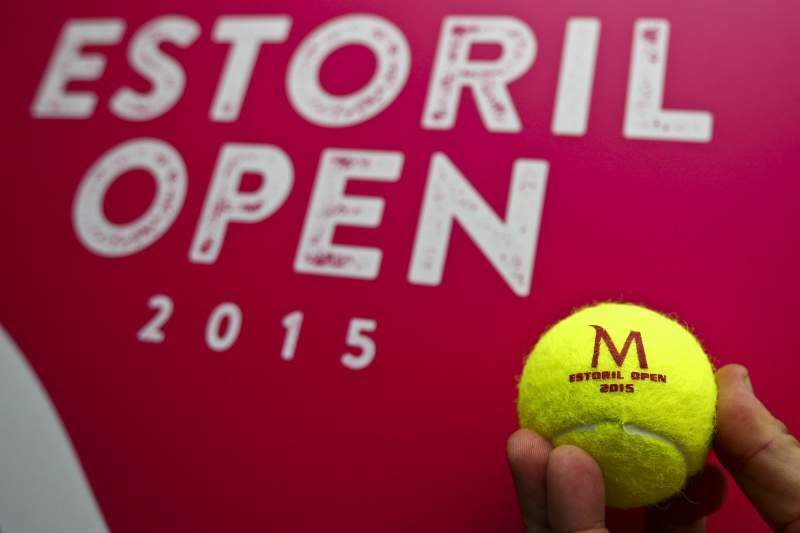 There’s only one match left to conclude the 2015 edition of the Estoril Open, who will emerge as a 1st time champion?